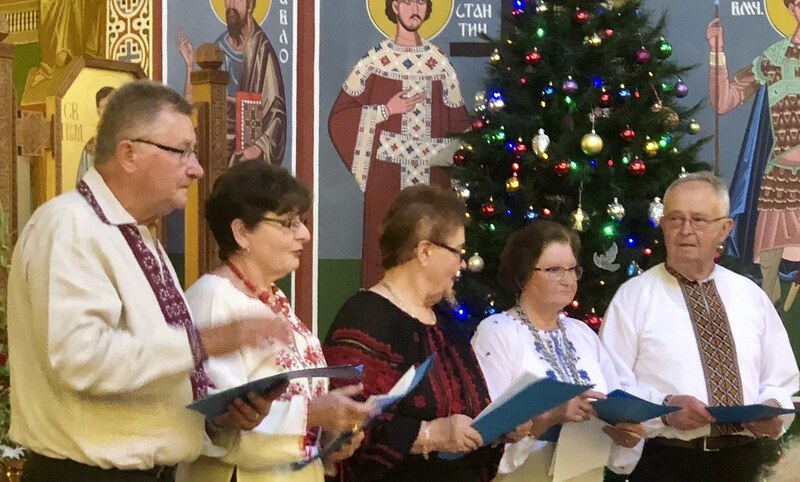 The singing of Ukrainian Christmas carols is a very ancient practice. 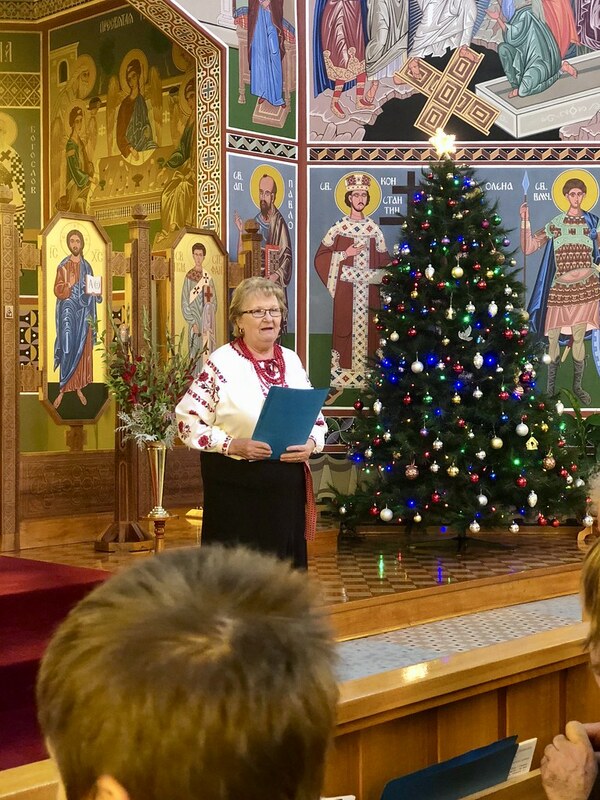 It is a defining moment of our Ukrainian culture. 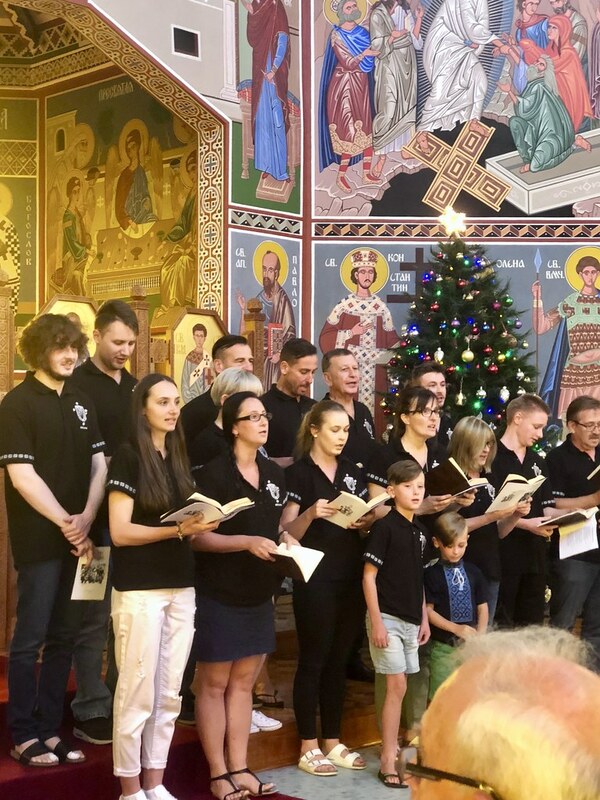 Our parish in Geelong can take credit that in Australia, about 10 years ago, they united a number of choirs to participate in a carol festival. The tradition continues. 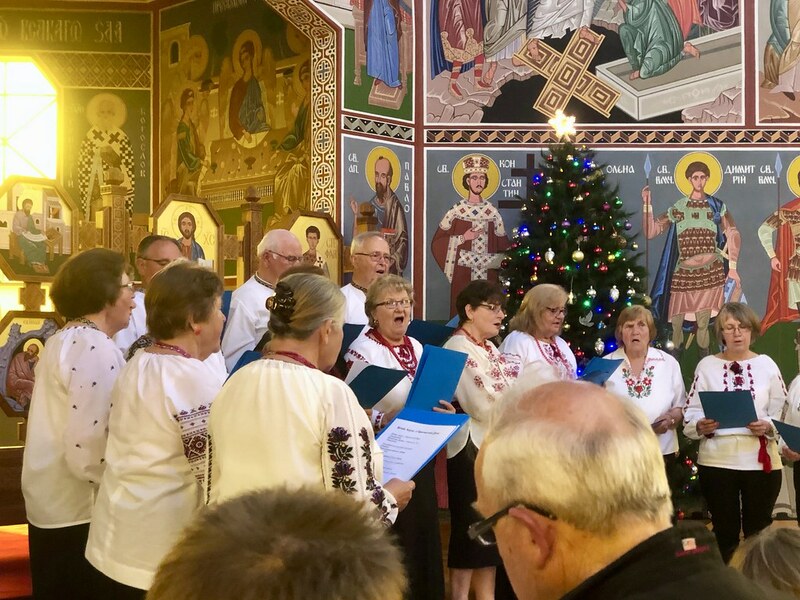 Each year choirs from across Victoria and even from Ukraine have come to announce the birth of our saviour, Jesus Christ through the singing of beautiful Ukrainian carols. Each year the parish has also invited those present for a common meal. The church and parish were full again this year. 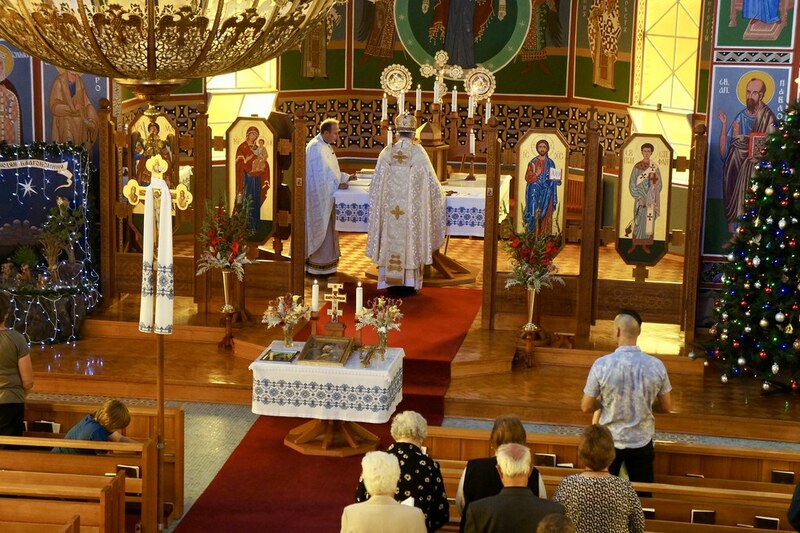 The practise has spread to each parish in the Eparchy. 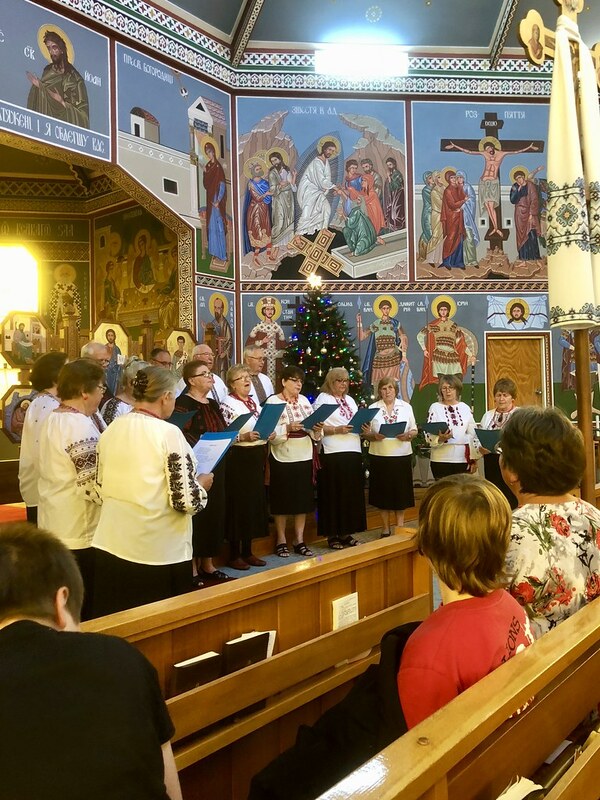 Each parish has managed to create a local variation of the Christmas program. 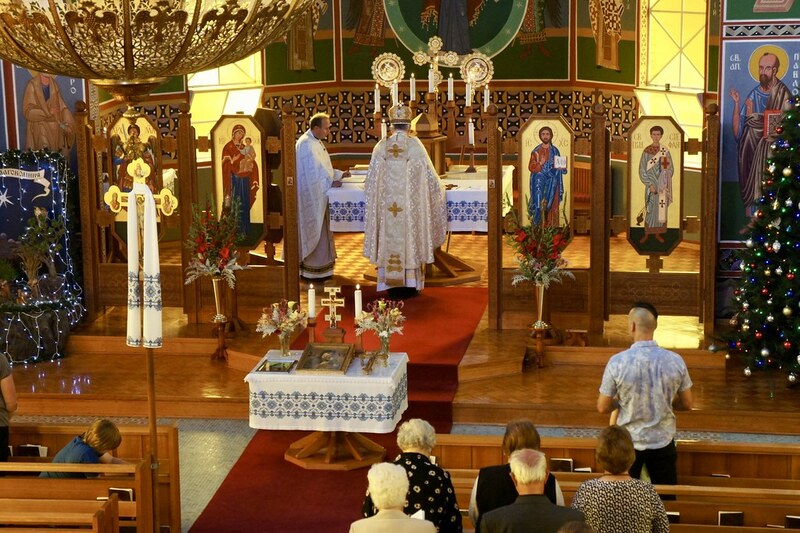 What started in Geelong is taking root in all our parishes. 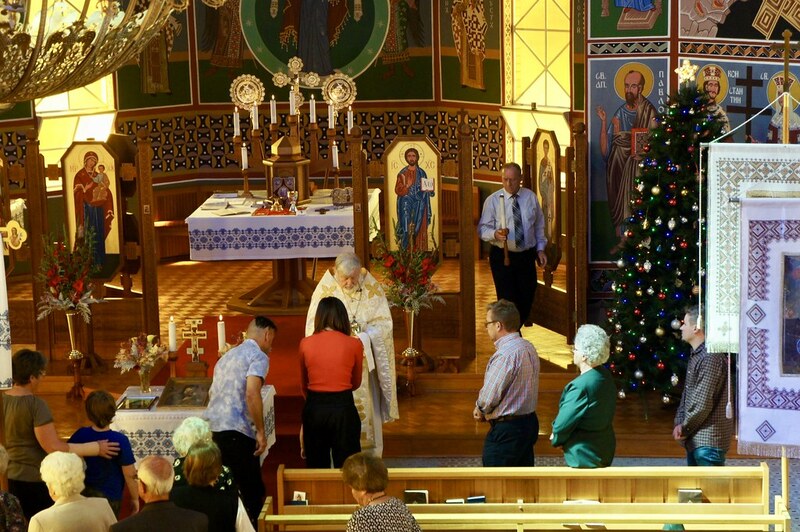 Bishop Peter thanked the parish on its’ initiative and asked them to continue the tradition. Bishop Peter stayed overnight to celebrate with the parish at the Sunday liturgy. 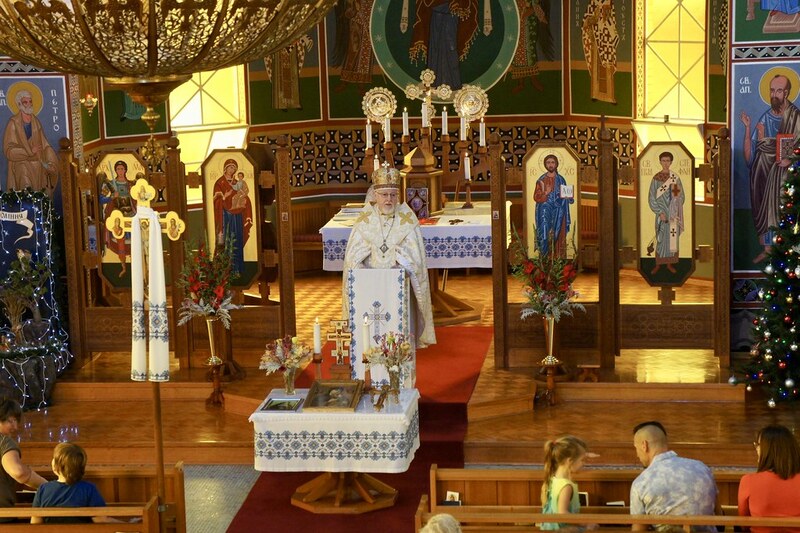 He reminded the parish of the pastoral letter our Patriarch Sviatoslav wrote to all the faithful, “The living Christ”. Bishop Peter added that this very important pastoral letter suggests the changes our church must make in our modern world.